Whether you identify as a casual music listener or a dedicated music collector, at the end of the day we all have one thing in common—we’re music fans. But what exactly draws us to a particular artist? If you ask someone why they enjoy their favorite artist so much, they may start to describe the artist’s vocal talents. Or perhaps they’ll describe the style in which they perform. But, at Parker’s Records and Comics, we’ve found over our long history that people’s attraction to a particular artist is often based on something much simpler—the artist just “gets” them. At one time or another, we’ve all encountered an artist who immediately resonates with us. And when this connection happens, it’s often one that lasts a lifetime. Artists like Nancy Marano, who has won over countless fans from around the world, are a prime example of this. Even less prominent artists have proven their ability to attract their own dedicated group of fans. Here are three soul artists we’ve become fans of over the years. We know that with just one listen you’re certain to become a fan, too. It’s hard to imagine “Keep Your Hands Off My Baby” as anything but the perfect mix of 60’s jazz, soul, and pop music. That’s exactly why so many record collectors are surprised to find out that Nancy Marano’s classic wasn’t originally her own! The Orlons recorded the original version of “Keep Your Hands Off My Baby” in 1968 but it largely went unnoticed. A year later, the song was recorded again but this time it was infused with extraordinary vocal and a distinct jazz style from a then up-and-coming Marano. Both “Keep Your Hands Off My Baby” and “Faces” were a success! While her ability to transform a relatively unknown number into a recognized classic seemed like nothing short of miraculous at the time, this early feat of hers is not all that surprising to the fans who have witnessed her growth over the past few decades. Marano was raised in a musical family and it was clear from early on that she had all the makings of an excellent jazz singer. Today, she even teaches a new generation of jazz singers on top of a busy performance schedule. This makes Columbia 44480—“Keep Your Hands Off My Baby”, in particular—not only an important milestone in the singer’s career, but an invaluable record for both jazz collectors and fans alike. Not much is known about The Montegos. The band only recorded three albums: “Take It Easy” with Joy in 1963; “Most of All” with Black Falcon in 1968; and “The Montegos” with ABC in 1968. But, while the band may not carry a recognized name, it offers a sound that is certain to be appreciated by 60’s soul and funk enthusiasts. And, of course, it’s difficult for anyone not to relate to the themes of longing and heartbreak that the band touches upon so eloquently. 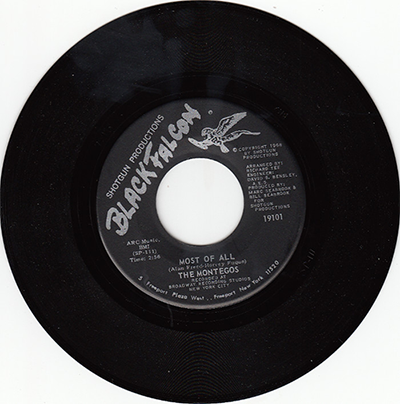 “Most of All”, as it was recorded for its Black Falcon 19101 release, features a style reminiscent of Philadelphia soul. With smooth, beautiful vocals and subtle funk influences, the song conveys the feelings of a man and woman who miss each other dearly. “Theme Of A Broken Heart”, by contrast, slows down the tempo and shifts to a much more subdued tone. Just like its counterpart, however, the song still features elements of Philly soul. In fact, at some points you may even think that The Montegos were ahead of their time by the way they incorporate subtle elements of jazz and pop into the song. Today, the band still has quiet the following making Black Falcon 19101, as well as their other releases, popular with collectors. Like The Montegos, Majestic didn’t have many releases but what they lacked in numbers they undeniably made up for it in quality. This all-male harmony group epitomizes northern soul, a style of black American soul music that was heavily based on Motown’s sound in the mid-1960s. 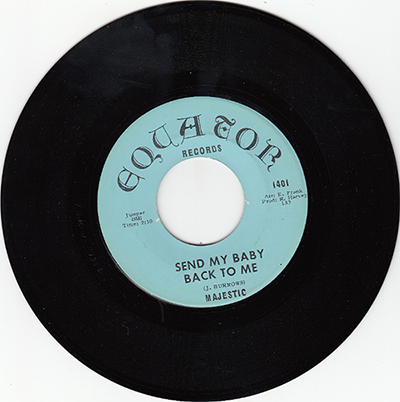 “Send My Baby Back To Me” exemplifies northern soul at its best. With an upbeat tempo, it’s not just a song that is fun to listen to but one that will also make you want to dance. “How Long Will I Love You” also showcases the group’s talent for crafting a slow, harmonious ballad. By all accounts, Majestic is a rare, one-of-a-kind group that represents some of the most unique musical styles to emerge during the 60’s. Of course, the same could be said for the band’s only known recording—Equator 1401—making it a must-have for a variety of music fans. When you’re a fan of someone’s music, the best way to express your enthusiasm is by making it a part of your collection! At Parker’s Records and Comics, we have records from hundreds of artists in stock. We’ll reconnect you with your old favorites and help you make new ones. What makes a song a major hit? While the 60’s and 70’s saw the debut of many unique and undeniably talented singers, only a few songs reached the level of enduring, mainstream success that made them a “major hit.” This, of course, does not make the contributions of the countless other songs that were released during the period any less valuable—and certainly not any less enjoyable! On the contrary, the funk/soul genre, in particular, was full of less prominent but extraordinary songs that would excite and inspire audiences just as well as any recognizable title of their day. The truth of the matter is that a major hit is whatever you decide it to be. And that’s great because you’re your record collection should be a reflection you and your personal favorites—no one else’s. If you’ve never ventured beyond the classics, we invite you to explore something new. At Parker’s Records, we have over 100,000 records so we know firsthand the joy that comes in discovering a new favorite artist or song. Here are just a few of the less known but exceptional songs that have become major “hits” with us. Love songs are, of course, all about couples. It isn’t until you listen to the eponymous track, “Nothing I’d Rather Be (Than Your Weakness)”, that you realize this 70’s classic offers something unique–and surprisingly absent–from other songs of this style: harmonious vocals between a lover and their beloved. In short, “Nothing I’d Rather Be” isn’t just a song about couples. It’s one meant to be sung by couples, too. Without a doubt, you’ll want to sing along with the person closest to you. 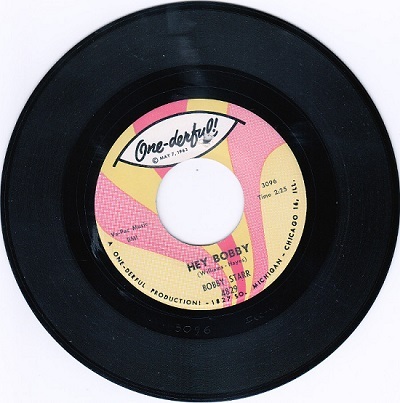 The second song on the 45, “(Hey, You And You And You And You) I’ve Lived The Life”, switches the tone from smooth and easy going to strong and confident. Just one listen and you’ll agree that “I’ve Lived The Life” is quintessentially Marva Whitney and all of the vocal power and style that she represented. And as much as the song is centered on her own life and her struggle to become a better woman, you’ll be convinced that she wrote this song solely for you. United Artists Records was founded under its parent company, United Artists, in 1957 and this relationship continued until the label was acquired by EMI in 1978, and ultimately absorbed into Liberty Records in 1980. From the late 50’s to early 80’s, many subsidiary labels emerged from United Artists Records, including Unart, Musicor, Ultra Audio, Veep, and—most notably—Ascot. The multitude of labels housed beneath United Artist Records not only made it one of the most eclectic music companies of the time but also allowed it to give a wide variety of artists the opportunity to prove themselves. Paul Martin is one such artist to emerge from the Ascot label. And despite being one of the more obscure funk/soul singers of his day, his music is immediately familiar. With every word he sings, Martin exudes confidence—and it’s contagious! In many ways, Martin’s easygoing but self-assured tone is very reminiscent of Marva Taylor. So much, in fact, that you may just wonder why Martin didn’t receive as much recognition in his day as he often does with today’s listeners. The truth of the matter is that Paul Martin’s “I’ve Got Another Mule” is a record that is owned by few but desired by many. Once you listen to it, you’ll understand why it needs to be in your music collection. From the start, it was clear that Bette McLaurin was extraordinarily talented. Shortly after her R&B debut with “Crying My Heart Out Over You” in 1950, she was signed to the Derby label. Derby 790, which featured “I May Hate Myself In The Morning” and “I Hear A Rhapsody”, not only succeeding in winning over the public, but was covered by other major labels of the time. As anyone who has ever had the pleasure to listen to “As Long As You’re Mine” would agree, McLaurin deserves all of the acclaim she receives. Her voice is gentle at times but strong at others, perfectly moving between the two to create a balance. And while her vocal talents are certainly impressive in and of itself, it’s McLaurin’s style that truly makes her worth talking about. McLaurin grew to prominence at a time during the 50’s when R&B and pop music were so influential on one another that it was difficult to see them as distinct. “As Long As You’re Mine”, which was released near the end of McLaurin’s career, is a prime example of just how harmoniously these two genres could blend together—especially when brought to life by an exceptional singer. Research suggests that we are most likely to remember events when they are tied to strong emotions, particularly pleasant ones. Of course, you don’t need to be a scientist to know just how true this is. As we’ve all experienced at one point or another, music not only allows us to reconnect with fond memories, but an especially heartfelt song can even help us relive these moments as if it was happening all over again. So if you could relive any type of memory, which would you choose? Your happiest ones, of course! At Parker's Records, we have a number of records that will put you in a great mood. Whether you want to relive the exhilaration of a brand new love or fond memories of an exciting night out, here are just a few records from the 60’s guaranteed to make you feel good. Many singers strove to prove themselves in the 60s but few ever achieved the level of success that makes them still worth talking about today. Rhythm and blues artist Arthur Lee Maye was an extraordinary case. Not only did he achieve a level of musical success that many could only dream of, he also established a career on the field as a Major League Baseball player. While it’s easy to focus on what made Maye unique, it’s perhaps most worthwhile to focus on what made him distinct – his talent as a tenor. Maye’s 1965 record “At The Party” features an uptempo rhythm and lighthearted lyrics that are certain to inspire some fun in your day. But, without a doubt, the defining feature of the record is Maye’s own bold, powerful voice. In fact, Maye’s voice is so good at getting people on their feet that you may just want to throw a party every time you listen to him. What could create a better listening experience than the sound of a gifted tenor? The perfect harmony between two extraordinary tenors, of course. And, just as you would expect, the unison of two distinct and powerful voices will do more than just move it – it’s bound to blow you away. That’s exactly what the Music City Soul Brothers offer in their 1964 album “Let Our Love Go On”. Not to be misunderstood, just the lyrics and the music of “Let Our Love Go On” and “Let Our Love Go On” alone are enough to leave you enamored with the album; but it’s the perfect harmony of tenors Freddie Hughes and Ken Pleasants that elevates this listening experience from just “great” to absolutely “incredible”. This may be unsurprising to many, however, considering the enormous vocal talent and rich history of both Freddie Hughes and Ken Pleasants offer as individual artists. Both Hughes and Pleasants had a voice that was undeniably meant for Soul and, while only together for a short time, the amount of talent they offered as a duo is as hard to come by today as it was back then. The Jewels (alternatively spelt “The Jewells”) was a female group who began as The Impalas and later became The Four Jewels before finally establishing themselves as the group they are known as today. As artists, they made a name for themselves with Soul-, Rhythm-, and Blues-inspired music. More than anything, however, the group was best known for music that will make you feel good. Both the eponymous song “Lookie Lookie Lookie” and “Smokie Joe’s” have all of the makings of a guilty pleasure: an upbeat rhythm, vocal harmony, and a story about self-indulgence. Want to take your day from “good” to “extraordinary”? Then all you need to do is put a record on. Parker's Records has the songs that will make anyone feel good. Who was the defining artist or band in the 60s and 70s? There are dozens, if not hundreds, of ways that you can answer this question. And, while you likely have your own personal favorite artist from the 60s or 70s, choosing just one to define an era is still not an easy task. How could it be? Not only did the era provide us with an assembly of talent to choose from but each individual artist and band were so interconnected with one another that it seems impossible at times to talk about the contributions of one without discussing the contributions of all of the others. So while it may seem difficult to choose just one, the good news is that you often don’t need to. Tommy Strand & The upper Hand, The Spinners, and The Sisters Love are all prime examples of this. While each of these groups was immensely talented in their own right, it’s easy to hear the influences that other prominent artist had on their work. In other words, when you pick up any of their albums, you’re not just getting the best of one group – you’re getting the best of a generation. Here are a few of those records that defined, and were defined by, an era. Tommy Strand & The Upper Hand was a high-energy band that was active in the late 60s and early 70s. The band was well-known throughout South Florida for its original, blue-eyed soul and funk music. For many, Strand may also be recognizable due to his time spent playing alongside Buddy Decker and Hughie Burns in The Accents. The Florida-based band is perhaps best known for the two years when Jaco Pastorius was with the band. Pastorius, who is widely considered one of the most influential bass guitarists of all time, furthered the already considerable level of talent the band offered with his mastery of jazz and electric bass. Released in 1969, “Instant Reaction” was an instant hit, delivering the quality of soul and funk that you would expect from some of the most prominent talents of the time. The eponymous track provides an upbeat and funky beat that you can’t help but move to. It’s no wonder, then, that the song has been covered by several artists over the years. “Funky Way to Treat Somebody”, on the other hand, speaks to the original connotation of funk – feeling down. Nevertheless, the song embodies the kind of beat that won’t let you stay down for long. Before you know it, you’ll be dancing right along with the band. The Spinners, the Detroit Spinners, the Motown Spinners – however you may know them, you likely know them for their smooth R&B and Soul sound. For many people, the original members of the band are also instantly recognizable. Bobby Smith, who had been the group’s main lead singer since its inception, is perhaps best known for charting singles like “Truly Yours” in 1966 and “I’ll Always Love You” in 1965. Marvin Gaye, who played drums, had a number of hits as a solo artist including “How Sweet It Is (To Be Loved By You)” in 1964 and “I Heard It Through the Grapevine” in 1966. Released in 1961, “That’s What Girls Are Made For” was the debut single for The Spinners – and what a debut it was! Smith’s silvery voice, alongside a slow rhythm and a classic tale about romance, is undeniably charming. It’s no wonder then that it reached number 27 on the Billboard Hot 100 and number 5 on the Hot R&B songs chart. Heebie Jeebie’s, which is the second song on the record, is meant to get you and your sweetheart onto the dance floor after you’ve won them over with the first track. No matter how you look at it, The Spinner is one of the most iconic R&B/Soul bands of both then and now. So, of course, their debut record is absolutely one you’ll want to cherish. Like Tommy Strand & The Upper Hand and The Spinners, The Sisters Love was not only tremendously talented on their own but also had the opportunity to work alongside some of the greatest artists of their time. Even with just a brief look into their history, this becomes obviously. 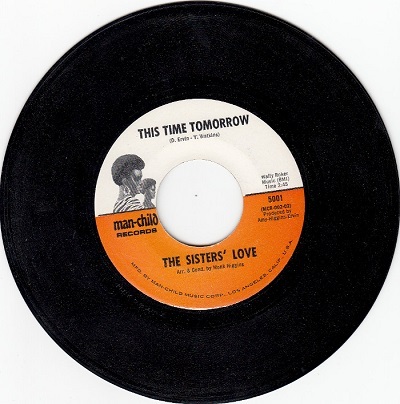 The Sisters Love was founded in 1968 by former members of Ray Charles’s backing ensemble. Over the course of their career, the group recorded singles for Man-Child Records, A&M Records, and MoWest Records. During this time, they also toured with the Jackson Five. “This Time Tomorrow” is one of those songs that can only be described as “powerful” from its first moment to its last. With strong lead vocals and harmonious backup vocals, this song provides everything that you would want from a female Funk and Soul group. It seems like the group already knew then that the only way to improve upon what already seemed like the perfect recipe was adding an element of Pop to their music – and that’s exactly what “I Know You Love Me Does”. The Sisters Love doesn’t just stand out as a phenomenal Funk/Soul female group of the 60s; they simply stand out as a phenomenal group. Just one listen and we’re certain that you’ll agree. We all have songs that define a special time in our lives, whether that are an era, a decade, or even just an individual moment. At Parker’s Records and Comics we help people reconnect with those songs that define important times in their lives and even connect with new songs for the moments ahead. We provide a simple online ordering form for any of our records. Enter your billing and shipping information, provide details about the record you're requesting and hit submit. From there, sit back, relax and enjoy knowing that your records are on the way! Music has the power to improve our mood and reframe our experiences. The 60’s, in particular, provided us with a wealth of soul, funk, and R&B music that could instantly do just that. And while we’ve said before that there’s a 60’s record for everyone, there are some songs that truly stand out as the kind that will lift your spirit. Today we are proud to share a handful of those songs guaranteed to put you in a great mood. Over his long history career, Bobby Miller found success both producing talent for renowned labels such as Chicago-based Chess Records as well as co-writing hits for several of the best R&B artists to come out of the period, including Barett Strong and Wade Flemons. And while Miller undeniably had the “magic touch” for helping others to achieve overnight success, when it came to recording his own music, he could certainly stand apart on his own. “The Big Question”, which Miller recorded under the Constellation Records label in 1964, proved just that. The eponymous track, “The Big Question”, blends together soul vibes with the classic tale of a man attempting to court a woman who won’t let herself fall in love at first before eventually culminating into a celebratory story of newfound romance. With easygoing lyrics, a steady beat, and smooth vocals, one listen is all you need to understand why this is one of Miller’s most acclaimed recordings. And while there is no doubt that Miller could craft a love song filled to the brim with soul, he also knew how to make people get up and dance. “Uncle Willie Time”, which is based on a 60’s dance craze, provides a fast, upbeat song that is designed to get you on your feet – and it will! If you’re looking for a 60’s artist who could “do it all”, look no further than Bobby Miller. Naturally, if you’re looking for a feel good record that can do the same, then his signature release, “The Big Question”, is for you. The Sons of Watts’ 1969 release of “When You Love, You’re Loved Too” exemplifies not only some of the best funk / soul music to be produced under the Blue Rock label, but some of the best sounds to come out of a generation. For anyone who appreciates an uptempo beat, both “When You Love, You’re Loved Too” and “Can’t You Tell I’m Lonely” will feel instantly familiar. The titular song, “When You Love, You’re Loved Too”, is a steady and encouraging song about keeping your head up even when times are tough. Who wouldn’t be sold then and there? By the end of the song you’ll feel like you’ve been friends with the band your whole life – an impressive feat for any band no matter the period! And while the former song may be the one to lend its name to the record, “Can’t You Tell I’m Lonely” is arguably the song that The Sons of Watts are known for. The song tells the story of a man who has lost the love of his life to his former best friend. And while the lyrics would indicate a sober tune, that’s simply not the case here. The song culminates into a soulful listening experience that will make you feel hopeful by the end. 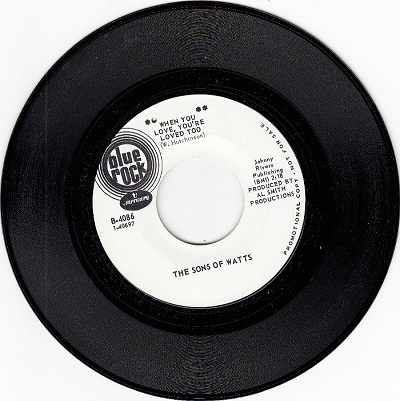 Despite being one of the less prominent bands of the period, The Sons of Watts are a hidden gem of the 60’s that will undoubtedly earn your appreciation! Steve Mancha, whose real name was Clyde Darnell Wilson, was a soul singer and songwriter whose music career started in the mid-60’s and carried on into the 80’s. With a number of albums released over multiple decades, it can be difficult to pick just one that truly epitomizes the unique sound of a soul singer who hailed from South Carolina. If there was ever an album that came close, however, “Hate Yourself In the Morning” is the one. “Hate Yourself In The Morning”, which was released in 1968 under the Groove City label, blends elements of funk, soul, ballad, and even subtle hints of pop into a timeless piece. The name of the album, of course, comes from the featured serenade in which the singer warns his lover that she’ll, “hate yourself in the morning”, if she leaves him. As a natural complement, “A Love Like This”, features a more uptempo beat and upbeat lyrics that is designed to make you feel good. Mancha was an expert in his craft and had the smooth voice that made him an excellent funk/soul artist. Don’t let the lyrics of the titular song fool you – it’s hard to imagine anyone who would not be charmed by Mancha’s voice. Whether you’re looking for a song to relate to, or simply just want a beat to tap your foot along with, we have it at Parker’s Records and Comics. Ordering our records online is easy. Enter your billing and shipping information, provide details about the record you’re requesting, hit “Submit”, and amazing records will be on their way to you. Now that’s something to feel good about! Growing up. Falling in love. Falling out of love. The songs of the 60’s are as much about our modern lives as they have ever been. And with their unique lyrical style and heartfelt melodies, Pop Rock and Funk / Soul music, in particular, captures the essence of these tales better than music from any other era. It almost goes without saying that 60’s music offers the world more than just hidden gems – the 60’s offers music for everyone. Was there ever a story more universal than the story of lost love? Well, as this Volt record from 1964 goes to show, it’s also a timeless one, too. “Please Return to Me” tells the classic tale of a man whose significant other has left him despite his best efforts to keep her happy. If you’re the sort of person who prefers happy endings, however, “Go Away” tells the story of a man who has moved on after his lover comes back for him. Could it be any more fitting for these two songs to be paired on the reverse of each other? No matter your preference, The Fleets deliver relatable lyrics and a pop rock sound that is certain to please every kind of listener. Jimmy Castor was known for being able to produce everything from doo wop to hip hop and this classic record from 1966 is no different. Everything about Jet Set Records 1009 demonstrates exactly why Castor earned the title “The Everything Man”. But, in addition to the quality of sound you would expect from a Funk / Soul artist who peaked on the Billboard Hot 100, “Why?” and “Fabulous New York” also offers some unique flavor that can only be offered by an artist who grew up in The Big Apple. From sound to lyrics, this record is truly “everything”. Peps – or “The Fabulous Peps” as they are often and appropriately called – provided us with this wonder in 1966 under the D-Town label. Both “Thinkin’ About You” and “This I Pray” capture the spirit of Northern Soul. And while the former provides a classic, upbeat song about a man in love, “This I Pray” perfectly blends Funk / Soul and gospel inspiration with prayerful lyrics about asking for peace and strength. With an easy-going tempo, the sound of this song alone will immediately set you at ease. If you’ve been looking for a record that offers both Soul and soul, your prayers have been answered. Parker's Records and Comics has the record meant for you. From stories of finding love to stories of searching for peace and strength, we have a record from the 60’s that you are certain to enjoy. When you’re ready to call one of these your own, we have it at Parker’s Records and Comics. We provide a simple online ordering for any of our records. Enter your billing and shipping information, provide details about the record you’re requesting, and hit submit. From there, sit back, relax, and enjoy knowing that your records are on their way! Have you ever experienced the “perfect” blend of blues, jazz and gospel music? With powerful blends of sound and equally compelling lyrics, the soul music of the 60’s is nothing short of life changing. In our previous post we explored only a few of our favorite soul 45’s, but today we’re thrilled to share some of the headliners – and hidden gems – that truly made the 60’s one of the best times to be a music listener. 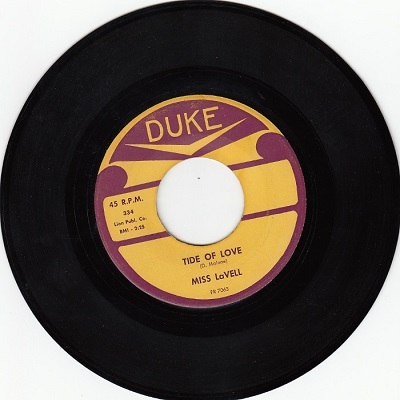 The two songs featured on this record, “Just Look At You Fool” and “Tide of Love”, carries the full depth of soul and blues that has made Miss Lavelle a living legend. If you listen closely, you can also hear a touch of gospel flavor inspired by the singer and songwriter’s rich history. This record was produced in 1961 by Duke Records owner Don. D. Robey in Houston, Texas. Duke Records is renowned for producing a number of blues and soul legends and Bobby ‘Blue’ Bland is without a doubt one of the most noteworthy. One listen to “Gotta Get To Know You” or “Baby, I’m On My Way” and you’ll understand why Bland was the label’s leading man. 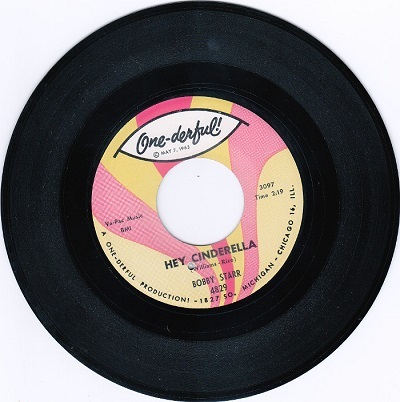 Produced in 1961 by Duke Records owner Don. D. Robey, this record is packed with soul from the “Lion of the Blues” himself. Produced in 1964 by M-Pac owner George Leaner in Chicago, this record represents a hidden gem of 60’s soul music. 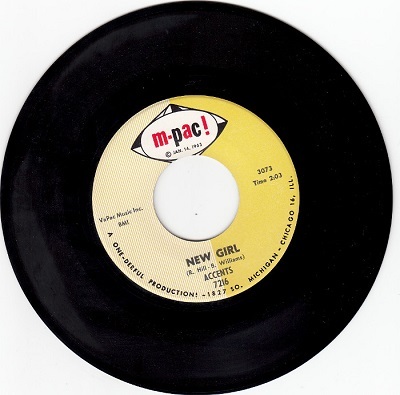 This particular group only produced a couple of records on Mercury, M-Pac and One-Derful before breaking up, but “New Girl” promises an excellent R&B sound that is still as enjoyable today as it has ever been. Funk, soul, and a classic R&B sound that can only originate from Chicago’s south side are the perfect ingredients for a great music experience. Tina Marvel may be a lesser known artist from the 60’s but her music is nothing less than a marvel itself! Just listen to the soulfulness of “Promises You Made To Me” and “I Can’t Love No One But You” and you’ll understand why. This record was produced in 1964 by Lu-Pine owner Robert West and is a soulful treasure we promise you’ll love. From the legends to niche artists, Parker’s Collection offers it all! You won’t find a more satisfying collection anywhere else. Let Parker’s Collection introduce you to your new favorite artist! Online ordering is available for these or any of our other records here. It’s as simple as entering your billing and shipping information, the details of what you want and then hitting submit! From all of us at Parker’s Collection, we would be thrilled to help you complete your collection and discover the wonder of soul! You know those records that you see or hear every now and again that bring you back to a specific time in your life? After writing our last blog post on prominent soul and R&B labels in the 60’s, we were inspired to share a few of them with you. In our last post we touched on One-Derful, Okeh and Gordy. In this post we’ll hit songs and groups from Motown (Gordy was a subsidiary label of Motown,) Mar-V-Lus and One-Derful again. By the end of this post, you’ll feel like you were back in the 60’s! This love song may remind you of your first love, as the Satintones express their everyday love for that special someone. This record was produced by Motown owner Berry Gordy, Jr. in Detroit, Michigan. With Motown records like this, you’ll notice that the label is pink, meaning it was produced from 1959-1961. Our next record features an updated blue label from 1961. 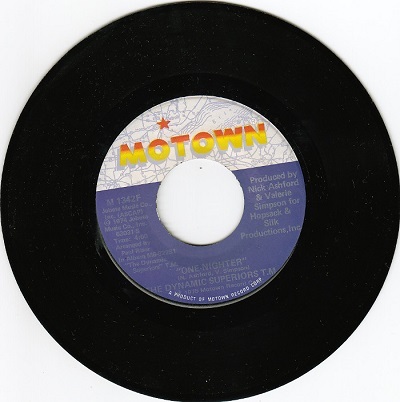 Although it was produced by Hopsack & Silk Productions, this record was still a product of Motown. There’s a whole lot of soul going on in this record. It’s smooth on the ears, one of those songs that can immediately put you in a good mood. It talks about a love so good, that it was worth sticking around for. The record itself makes you want to stick around and listen to more of The Dynamic Superiors! Our next record takes soul and throws an upbeat spin on it. The harmonica in the heart of the song and soulful lyrics make you want to get up and dance like it was 1963 (when this record was released!) It came off of the Leaner brothers (Ernie and George) label One-Derful, off of the famous Michigan Avenue in Chicago, IL. Michigan Avenue isn’t just famous for shopping, it also featured some famous soul labels, including One-Derful, and Mar-V-Lus. Mar-V-Lus was owned by George Leaner. It’s safe to say he liked putting a playful spin on the names of his record labels! We have to agree, his labels and some of the records released on them were both “marvelous” and “wonderful.” This tune is certainly one to dance to, and can pick you right up out of the blues. Soul 45 in mind? Explore Parker’s Collection-we probably have it! With our enormous collection, we can supply you with enough records to take you back to the soulful 60’s for days of listening! Online ordering is available for these or any of our other records here. It’s as simple as entering your billing and shipping information, the details of what you want and then hitting submit! We hope to add much needed records to your collection or supply a few that give you déjà vu. When going through a collection of soul 45’s or thinking back on some of the records we used to own, it could be easy to remember certain records by the large labels at the top. Prepare for some nostalgia as we go through a few prominent Soul/R&B labels from the 1960’s. Fun fact-you may have seen the Okeh logo taking your kids shopping at Forever 21, because their logo has been used on clothing there! If you’re looking for a one-derful record on Google, you may have found “Secret Stash,” who purchased a large portion of the collection. At Parker’s, we still have some in stock! At Parker’s Records and Comics we carry various records from each of these labels, along with a lot of other soul and northern soul records. If you’re looking for something in particular give us a call at (513) 575-3665, or explore our entire collection online!